If you are involved in medical device manufacturing or healthcare, then you are probably already aware of the FDA mandate specifying a unique device identifier (UDI) for medical devices. In February 2009, the FDA held a public workshop to discuss important challenges surrounding UDI implementation. The FDA sought industry input regarding standards, the technology used for marking devices, and the information to be included in a UDI. The primary reason for developing UDIs is to facilitate a recall of disposable devices. The proposed ruling on the UDI requirements, expected to be issued by the end of 2009, has huge implications for manufacturers, distributors, and hospitals. Manufacturers and distributors will need to change their internal product identification and packaging to match FDA standards and then submit the data to a centralized repository. Hospitals will need to effectively capture product data and use it in hospital networks. It is still unclear just what data will be required, in what format or if marking requirements will include Data Matrix, linear bar codes, or a mix of both. 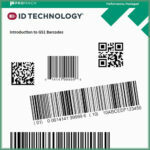 In any case, your UDI implementation will involve printing on durable labeling material and must remain intact through the expected life-cycle of the product. UDI data will be stored in a centralized database according to the terms of the FDA regulation. For some, this can prove to be a time-consuming process and if done improperly, can leave your company subject to costly penalties or delays. A well-thought out plan for UDI implementation can be the difference between successful compliance and those left behind trying to figure it all out. Forums, conferences and news is available to help prepare members of the healthcare industry, medical device manufactures, and other professionals for mandatory compliance. Winco ID will be following the news on the FDA standards, so please check back with us. Or send us an email and we will be sure to add you to our list for timely updates on the FDA’s Unique Device Identification. If you have specific questions on how to begin implementation at your facility, leave a comment or send your email to David Holliday. Are you already preparing for your UDI compliance plan, please leave a comment to share with others how it’s going. Are there clear concise unambiguous guidelines on (i) which types of disposable devices will require UDI's, (ii) specific UDI Requirements, (iii) Disposable devices exempt from UDI's (if any) and (iii) Guidelines for establishing a UDI implementation plan? Thanks for visiting and for commenting. To make things interesting, there are no concise unambiguous guidelines available at present. The FDA is holding a conference on the subject later this month – you can learn more here: http://www.udiconference.com/ The current plan is to have a draft of the rules finished late this year with a finished version sometime in 2010. At this moment we do not know what form the UDI mark is going to take (I've heard it will be using the DataMatrix barcode the same as the DoD UID program, but I've also heard it will be Aztec codes that are used. The only firm piece of information is that FDA do seem to be committed to going ahead with the program. We will be keeping an eye on the situation and using our industry contacts, so we'll post news as it arrives.As a labeling and barcoding company, we are obviously very interested.